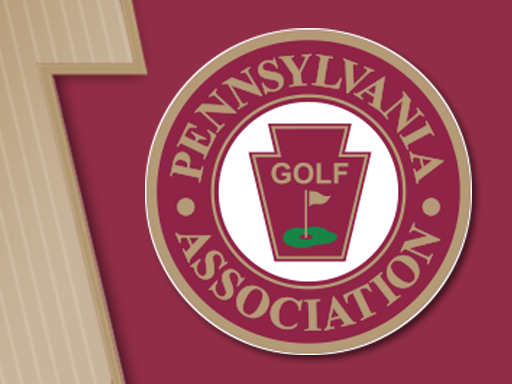 The Pennsylvania Golf Association (PGA) takes pride in the Pennsylvania Junior Championship and the quality of its players and host facility. 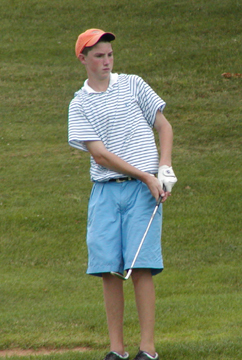 In order to continue making the Pennsylvania Junior enjoyable for everyone, the Association requires all members and parents to adhere to a set of guidelines. These Guidelines should be followed throughout the entire stay at the Championship. This policy is strictly enforced for the welfare of the players. Parents are welcome and encouraged to attend all tournaments. 1) Keep your distance from your child while following him or her throughout their tournament rounds. You are asked to stay on the cart paths or in the rough were cart paths are not accessible and at least 30 yards away from the players. Do not walk in the fairways. Always be aware of the group behind you. "Advice is any counsel or suggestion which could influence a player in determining his play, the choice of a club or method of making a stroke." 3) Allow PGA Rules Officials to administer rulings. You will be brought into a situation ONLY if the Rules Official asks you. 4) Spectators may not carry a player's golf bag and or clubs. Spectators are allowed to carry water, umbrellas, jackets, towels, and food for the players. 6) When on the course, turn off cell phones or turn ringers to the silent or the vibrate mode. Respect host facility's policy if cell phones are not allowed. 7) Parents are required to observe good taste and dress appropriately for the golf course. Please adhere to the host facility's dress code. Some facility's may not allow blue jeans, T-shirts, etc. 8) Encourage child to write thank-you notes to those persons who contributed to the success of the respective tournament. A thank-you list is included in the Player Information packet. Parents will receive one verbal warning if any of the above guidelines are not adhered to. A second action will result in a penalty for the player and the removal of the spectator/parent from the golf course.